Although librarians are best known for worrying about overdue books, lately many have been concerned about overdoses, too. This summer, the Multnomah County Library in Portland, Oregon, is conducting a pilot effort at five libraries to train managers to administer naloxone, a drug that reverses the effects of an opioid overdose long enough for the affected person to get to a hospital. The program will also make the drug available in spray form at the participating locations. “It’s one more tool that we can have available in the event that EMTs don’t respond as quickly as we hope or some other factor complicates things,” said Shawn Cunningham, director of communications and strategic initiative for Multnomah County Library, in a phone interview. 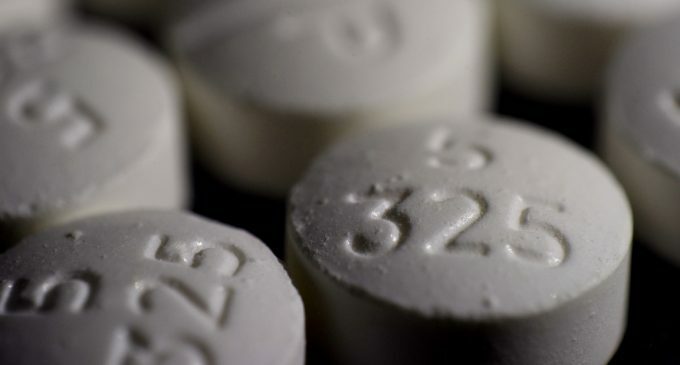 According to the Centers for Disease Control and Prevention, emergency room visits for suspected opioid overdoses increased around 30 percent in the United States between June 2016 and September 2017. With opioids responsible for the deaths of tens of thousands of Americans each year and no end in sight, community initiatives like the one in Multnomah county are seeking to do their part to combat the epidemic. “We think of the library as something like the community’s living room. So issues that manifest in a community will also manifest in the library because it’s the most open kind of public space there is aside from just standing on a street corner,” Cunningham added. Multnomah County is not the only place taking action. Cunningham, who recently attended the American Library Association’s annual conference, reported that the event held a panel on opioids. Representatives from both rural and urban libraries were in attendance to learn how to best help their patrons. Philadelphia librarians already administer naloxone. In October 2017, Pennsylvania Governor Tom Wolf announced an increase of availability of the drug for first responders by 60,000 naloxone kits. The Pennsylvania Commission on Crime and Delinquency’s definition of what constitutes a “first responder” goes beyond law enforcement and firemen. “Individuals who find themselves in positions of being the first person able to respond to an overdose – such as librarians, public transit drivers, and drug treatment providers – are also eligible for the naloxone made available through this state funding,” PCCD Chairman Charles Ramsey stated. Going beyond providing naloxone to librarians, in June 2018, Salt Lake County Library in Utah provided naloxone kits to the public for free. Library staff were also trained to administer naloxone (though, as of May 2018, they have not had to put that training to use). These local and statewide initiatives have not gone unnoticed by national lawmakers. Sean Patrick Maloney (NY-18) acknowledged the success of these programs and decided it was time to take them nationwide. In October 2017, Maloney introduced the Lifesaving Librarians Act to Congress. The act would direct the Secretary of Health and Human Services to establish a grant program to allow public libraries in High Intensity Drug Trafficking Areas (HIDTAs) to purchase naloxone rescue kits and/or provide training to enable employees to use those kits. Maloney’s bill was introduced and referred to the subcommittee on health, yet it is still far away from being passed into law. Until national initiatives like Maloney’s get off the ground, it will remain up to more local movements to fund and organize training and resources for libraries to combat opioid addiction and overdoses. Cunningham, for one, says their library has had “fantastic support” from the county health department, and even though they are just getting started, there is no question that they will continue this effort. The post Librarians in Oregon Trained to Administer Drug Used to Prevent Deaths appeared first on MintPress News.